A growing child needs his proteins. If you are tired of trying to find protein-rich Indian vegetarian dishes, here are five wonderful delicacies for you! If there is something that brings us Indians together after cricket and the recent Olympics, it is food! There is a growing consciousness amongst mothers to balance the diets for their children. While that is a great thing, most of the times, the balanced recipes you may end up searching on the internet are not vegetarian. That poses a certain amount of problem as many of us are vegetarians. Being one of the oldest civilisations, we have perfected quite a few healthy vegetarian delicacies. You may not know, but many are rich sources of nutrients and contribute towards a balanced diet. Eggs still remain an excellent source of proteins. 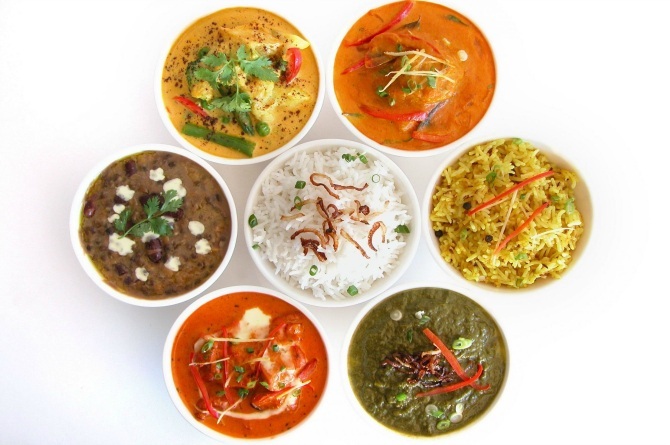 However, here are 7 common vegetarian delicacies are equally good. This is one of the quintessential greens of Indian diet! Palak contributes minerals and vitamins, while paneer adds to the proteins and fats. Your child gets some fibre and the rotis that accompany this would contribute towards the necessary carbohydrates! A healthy twist: the addition of cream disturbs the nutrient ratio. You can add some yoghurt instead and you end up getting a good taste. Who doesn’t like a plate of steaming idlis for breakfast! This perfect recipe is, according to me, the best application of fermentation! Idlis have urad daal, a good source of proteins. The rice provides for fibres and carbs, and the accompanying sambhar makes up for the rest of nutrients, not to mention the amazing taste! Steaming idlis may seem like a task, but it is one of the best meals for a larger group. Maharashtrians have their own variety of stews made of different types of beans. The most common recipe, matki chi usal (moth beans stew) is quite popular as usal and the feisty counterpart- the misaal. The beans are a rich source of protein and the nutritive value increases as they are generally sprouted for the recipe. A healthy twist: have this with rotis and rice instead of paav. Children love this! When I used to fall sick, this was my favourite convalescence food. The soft khichdi was easy to swallow when I had a sore throat and the warmth gave me a lot of relief. That said, Daal khichdi is far from a food for sick. This recipe packs proteins for champions! A healthy twist: add carrots and peas to add nutrients. Nutrela, or Soya chunks is a boon for vegetarians. They are easy to cook, have a long shelf life, and can be added to virtually any sabji, pulav, biryani! What more, doctors recommend adding soya powder to your aata to add nutrients. Chana Dal aur Soya wadi ki Sabji is one such tasty and healthy sabji you can have for dinner. What more, the recipe is very simple and easy to make and packs some amazing flavours and colours! Impress your kids with these recipes and educate them about counting the nutrients instead of counting calories! Be sure to check out theAsianparent Community for more insightful stories, questions, and answers from parents and experts alike. If you have any insights, questions or comments regarding the article, please share them in our Comment box below. Like us on Facebook and follow us on Google+ and Twitter to stay up-to-date on the latest from theIndusparent.com!